The L. Gordon & Son factory is a sixty-four thousand square foot industrial building on the corner of South Paca Street and West Cross Street, a few blocks from M&T Stadium. It is a three-story building of lightly-ornamented but utilitarian brick, with a Star of David design in the brickwork at the top. In the past century, the factory has housed at least four family businesses and each one has left their mark. Fr. Bergner & Co. erected the factory on Paca Street, designed by architect J. Edward Sperry, in 1905. Two brothers, Frederick and William Bergner, ran the company for over 25 years manufacturing picture frames, photo albums, and other small luxuries. William died in 1902, leaving behind his parents, three brothers, and wife. It was Frederick who moved the business to the new factory and continued to oversee the company until his death in 1919. The onset of the Great Depression, however, was a greater challenge than fire. In 1930, the company began leasing out the top floor of the Paca and Cross Street factory. In 1931, the company sold two tracts of land adjoining the Paca and Cross Street factory, one to the city to expand Sterrett Street, the other to the Catholic Church. By 1933, at the trial for a fraud case involving forty-two shares of Bergner & Co. stock, the prosecuting attorney implied that “the company consisted only of an empty warehouse.” In March 1933, Fr. Bergner & Co.’s remaining assets were seized, and in 1934 the court-appointed trustee sold the Paca and Cross Street factory to The Hopkins Place Savings Bank, who had held the mortgage for $47,000.By 1940, L. Gordon & Son was operating out of the Paca & Cross Street factory and they purchased the building in 1942. Paca and Cross Street was at least L. Gordon & Son’s third factory in the fifty years since its founding, but the firm would remain in that building for the next sixty years. L. Gordon & Son was, as the name suggests, a family-owned business. Louis Gordon started the enterprise in 1891, making paper boxes by hand at his house on Orleans Street. 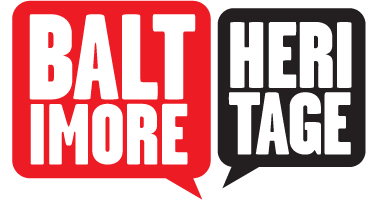 He was a Russian Jewish immigrant, and his son Paul was, from the time he was a young man, an active participant in several Jewish and Zionist organizations in Baltimore. Given his spiritual and political affiliations, it seems likely that Gordon installed the six-pointed star design at the top of the outer wall of the factory around the time they acquired the building. In 1897, the six-pointed star, known as a 'Magen David', was adopted as a symbol by the First Zionist Congress. From that point forward, the star became a symbol of Jewishness in general in the early twentieth century. The crest of Hadassah, the women’s branch of the American Zionist movement and the organization to which Paul Gordon's wife belonged, included the Magen David in their crest design at least as early as 1915. After Paul's death the company passed to his son, Bertram I. Gordon. In 1951, L. Gordon & Son bought several lots surrounding their factory from Barnett L. Silver, who had spent the last decade buying them up from individual homeowners. Besides buying up half of the block at Paca & Cross Street, Gordon & Son also added a warehouse in 1967 at 2020 Hollins Ferry Road. In May 1985, Bertram Gordon died of a heart attack. His widow Marjorie Gordon took over the company after his death, and it remained in operation at least through 1991. Marjorie Gordon died in 2009 at the age of eighty. The company sold the factory to Toybox, LLC, in 1997, and it has remained largely empty ever since. Caileigh Stirling, “L. 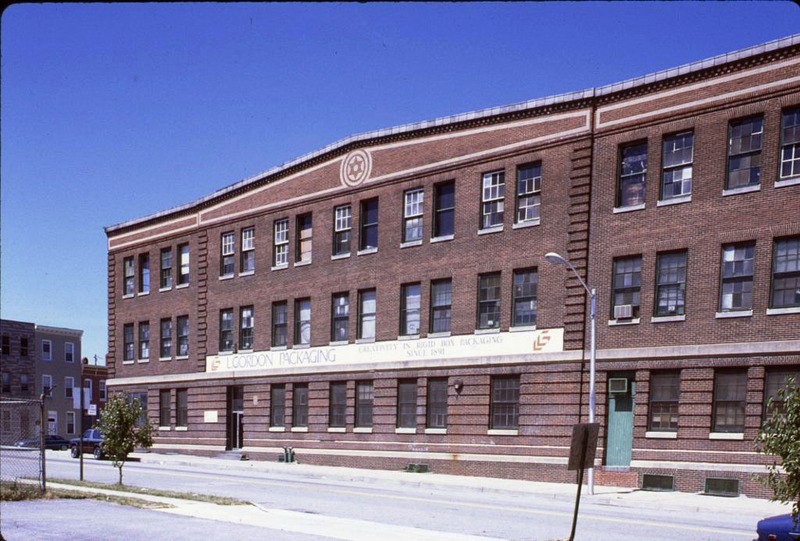 Gordon and Son Factory,” Explore Baltimore Heritage, accessed April 23, 2019, https://explore.baltimoreheritage.org/items/show/566. Published on Sep 18, 2016. Last updated on Nov 27, 2018.